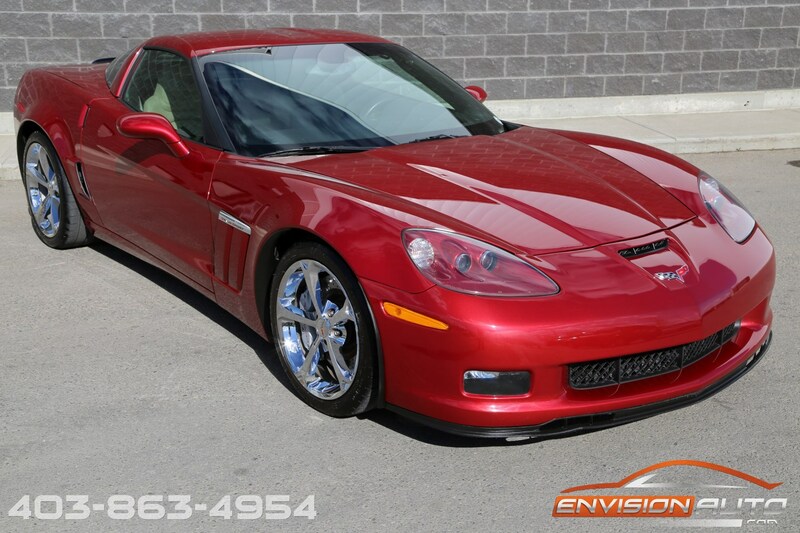 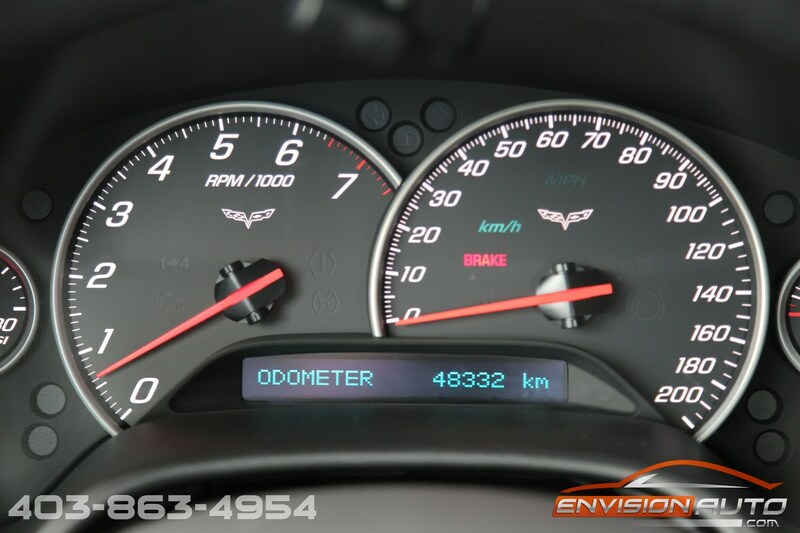 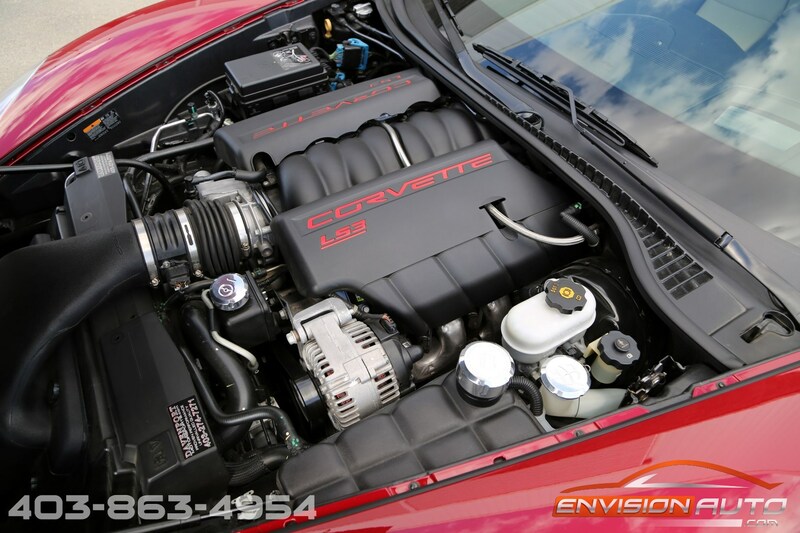 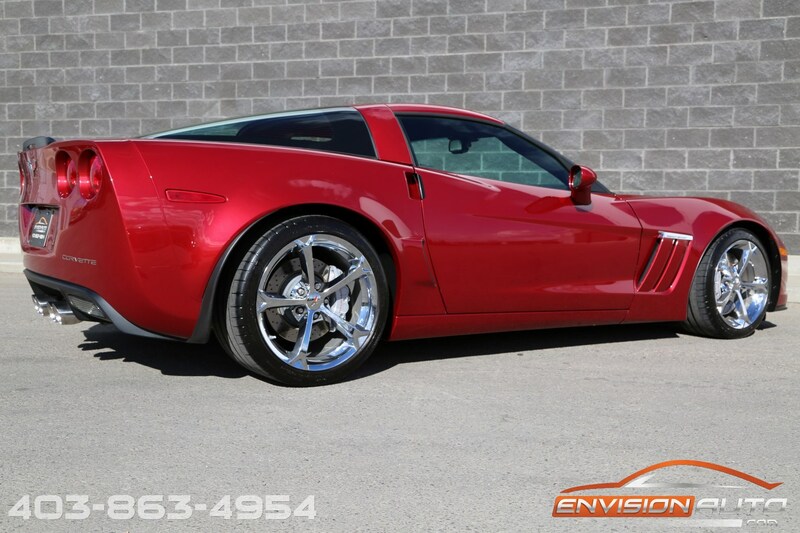 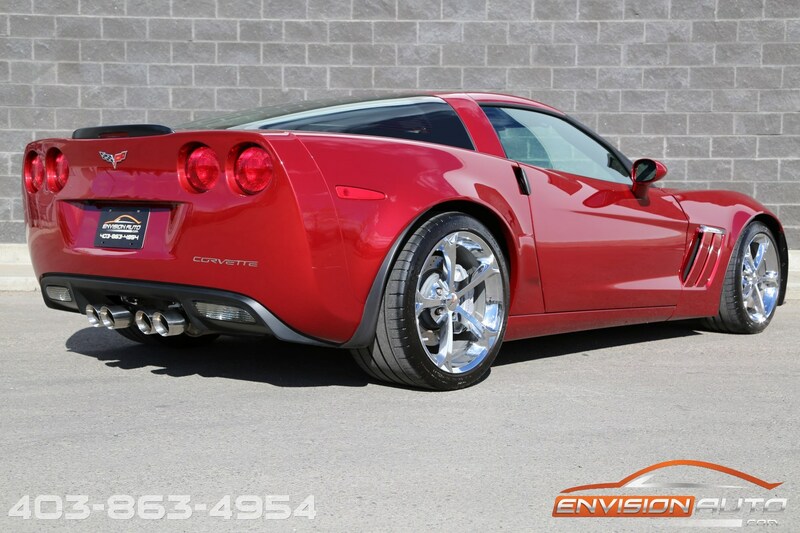 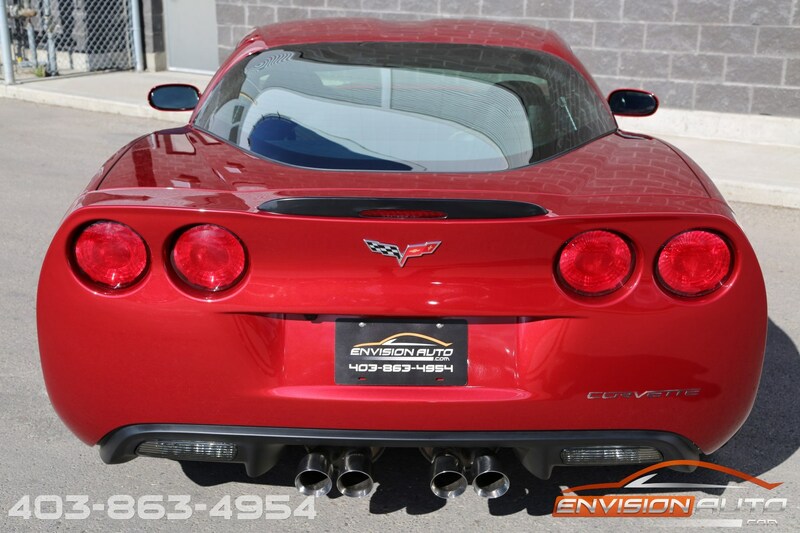 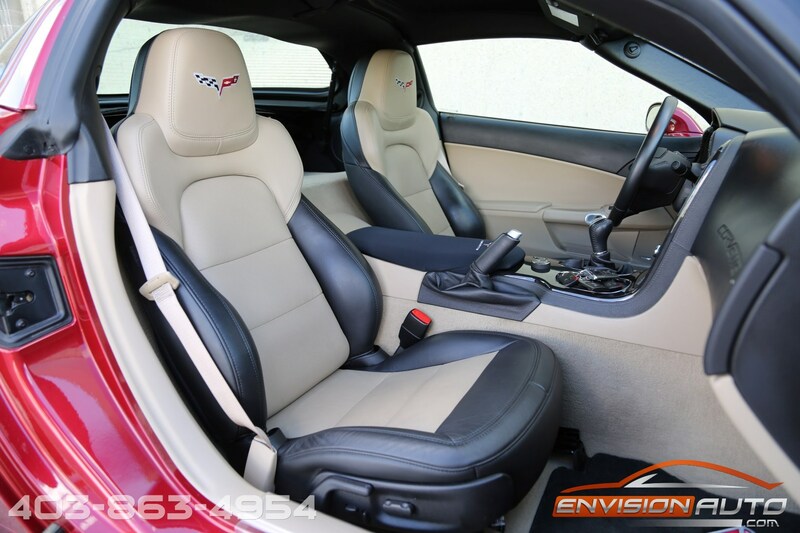 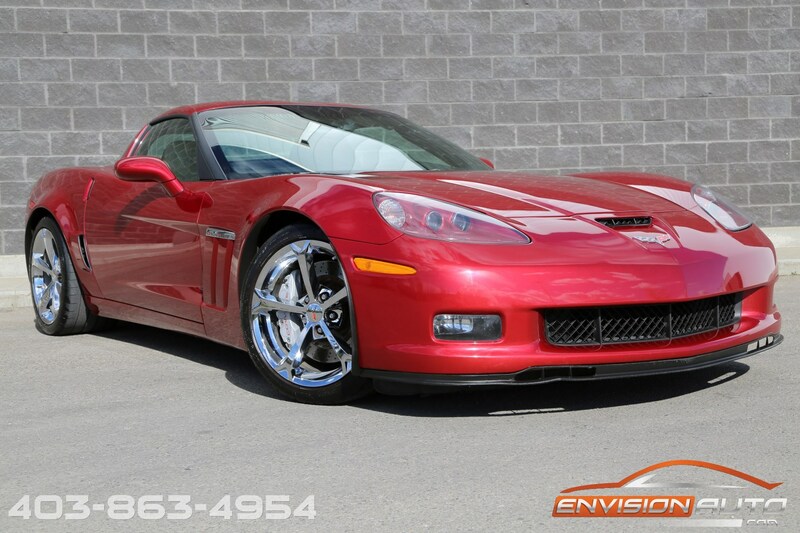 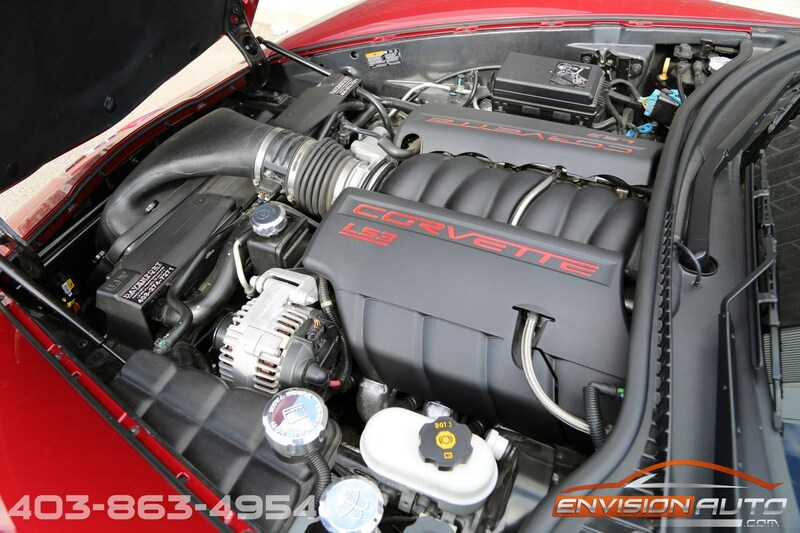 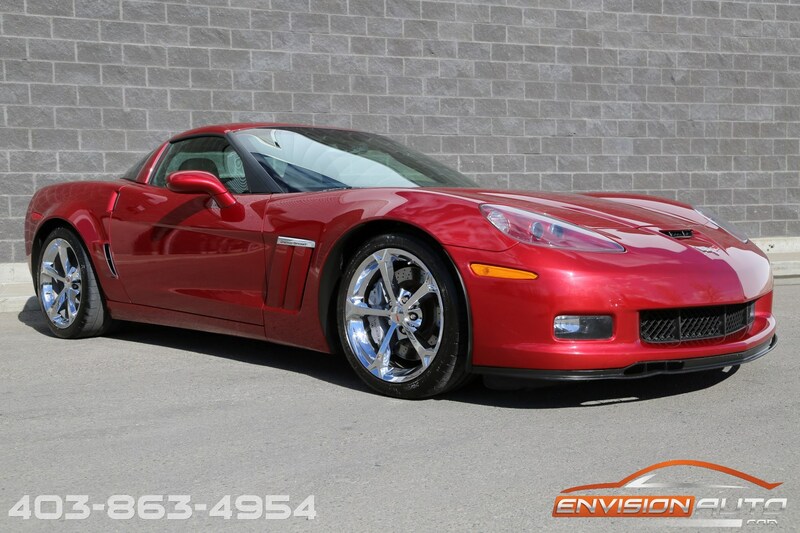 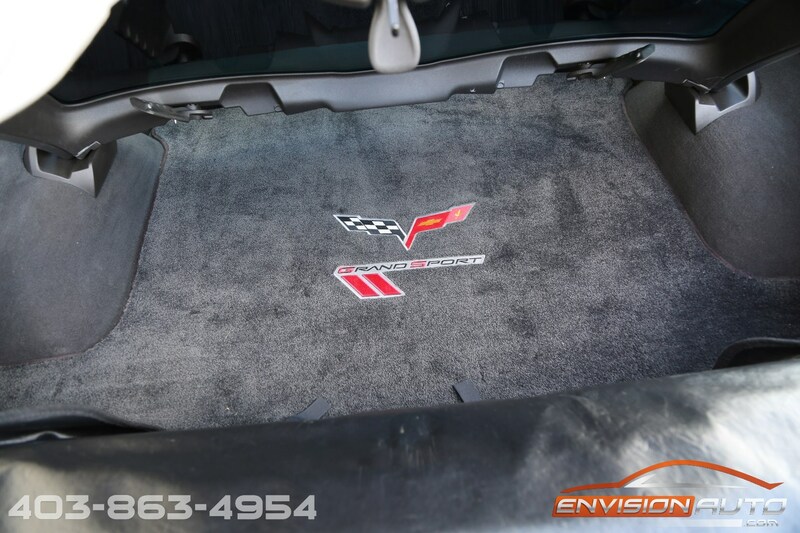 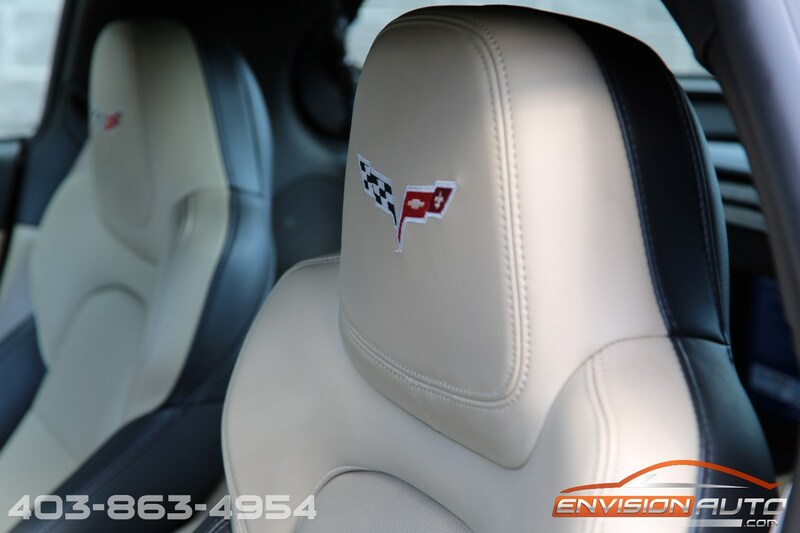 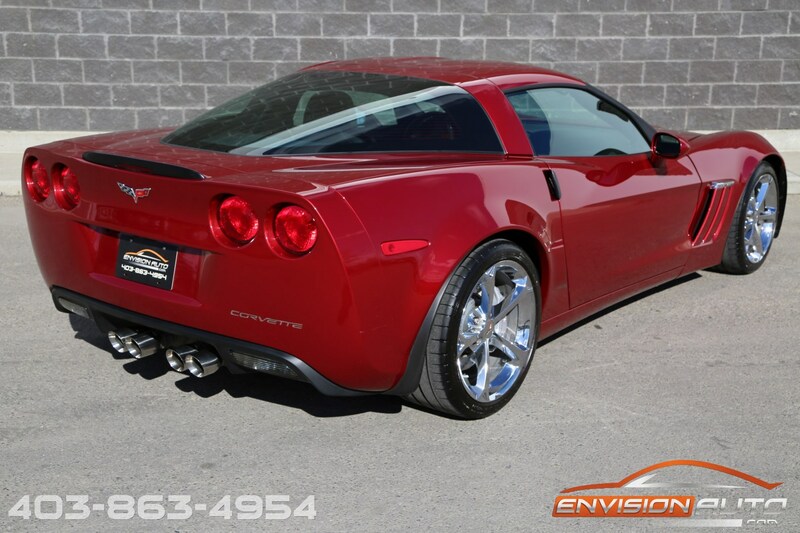 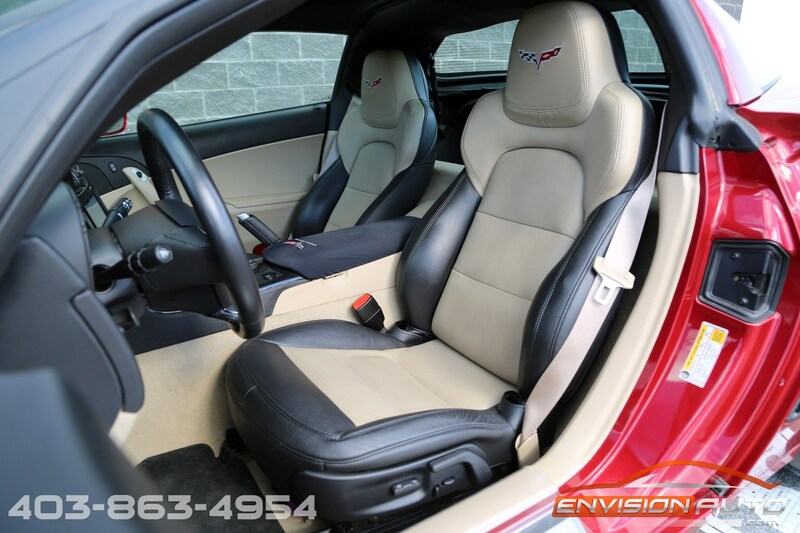 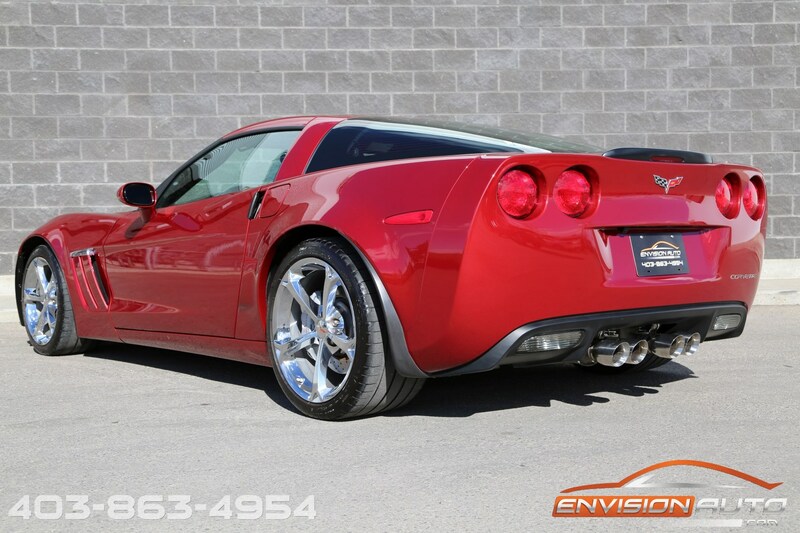 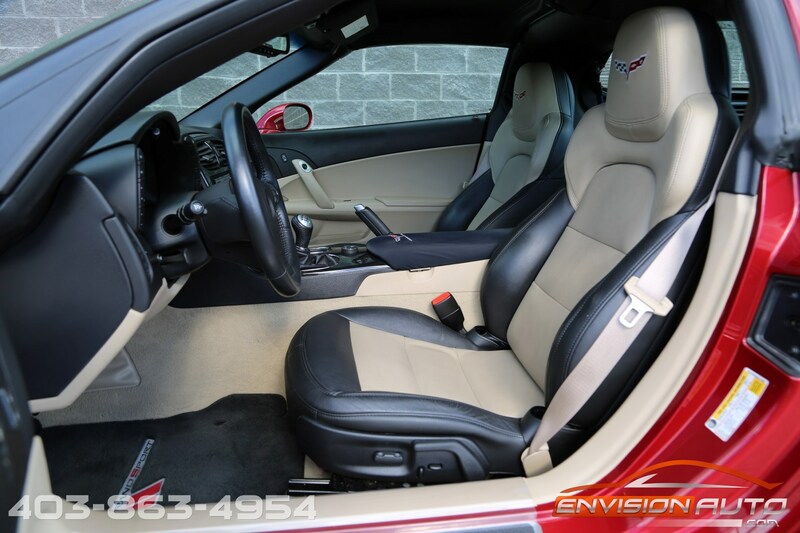 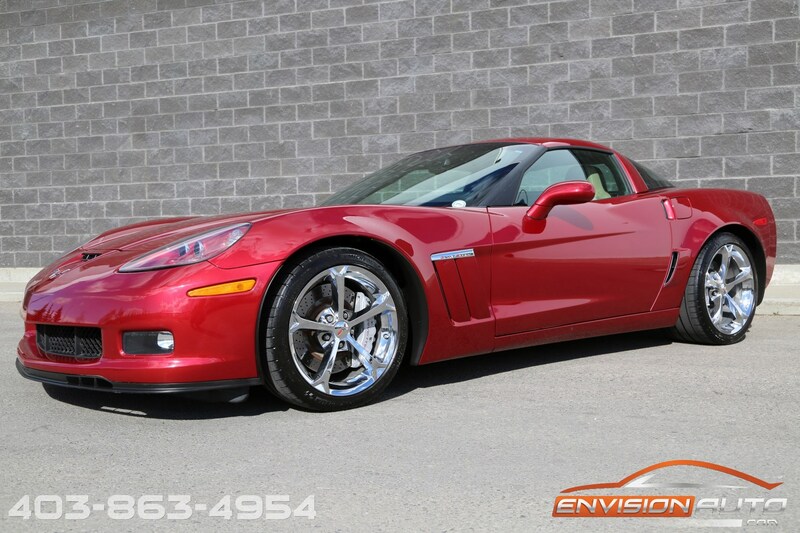 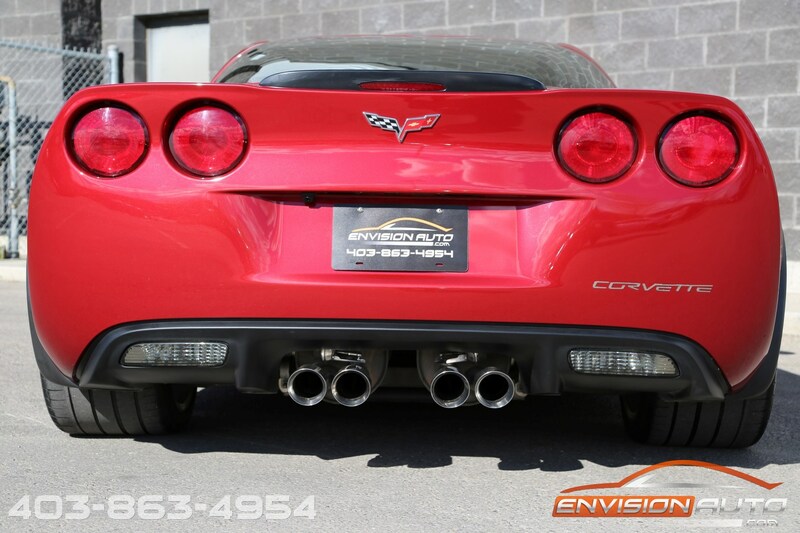 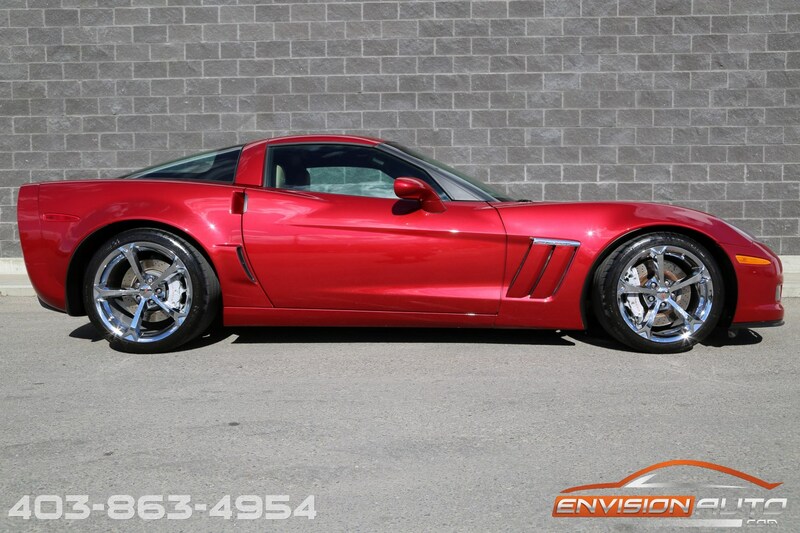 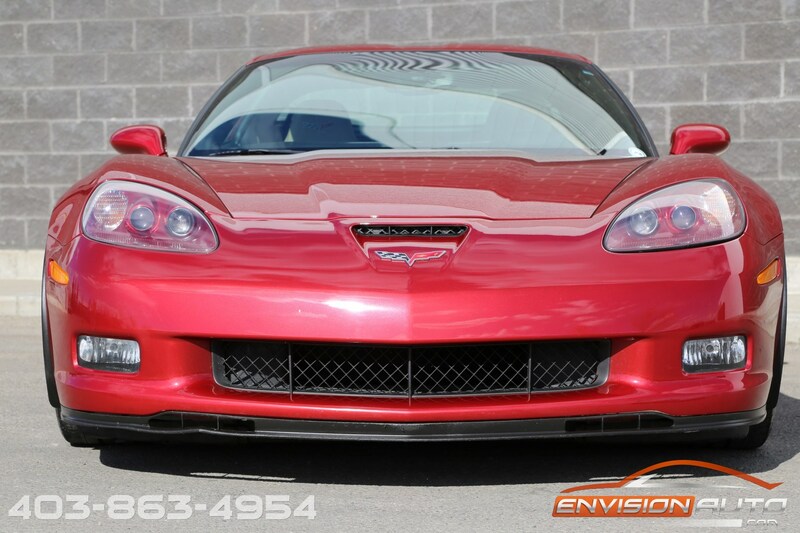 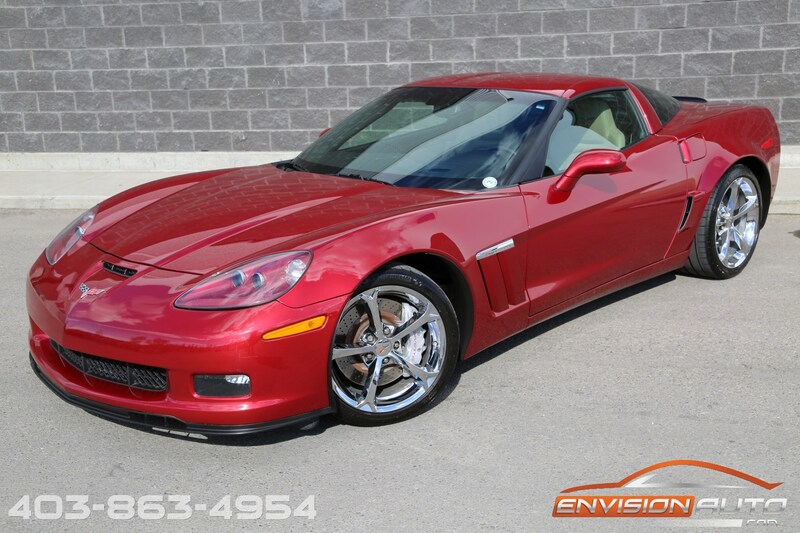 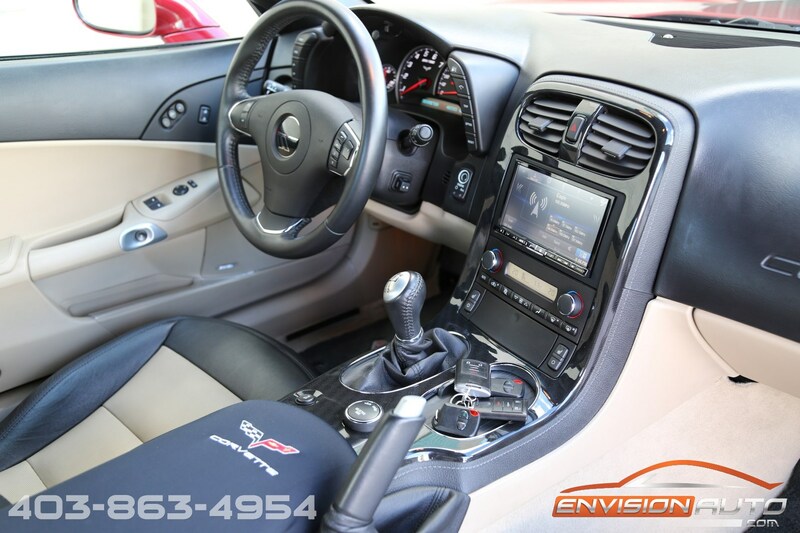 2012 Chevrolet Corvette Grand Sport 3LT Coupe – Dual Roofs – Mag Ride! 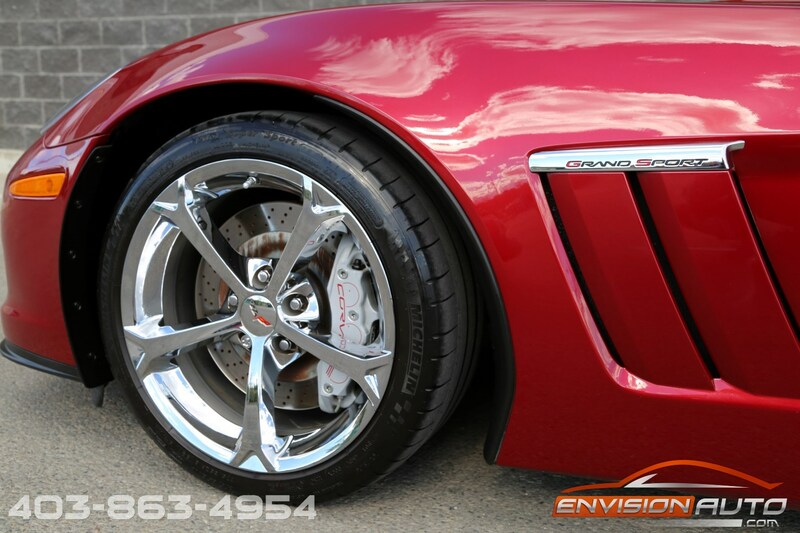 Color : –Crystal Red Metallic Ext. 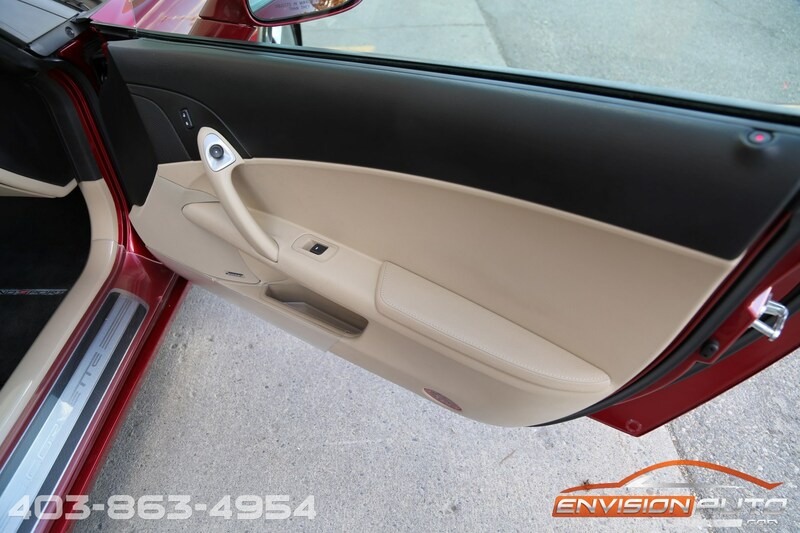 w/ Black & Tan Leather Int. 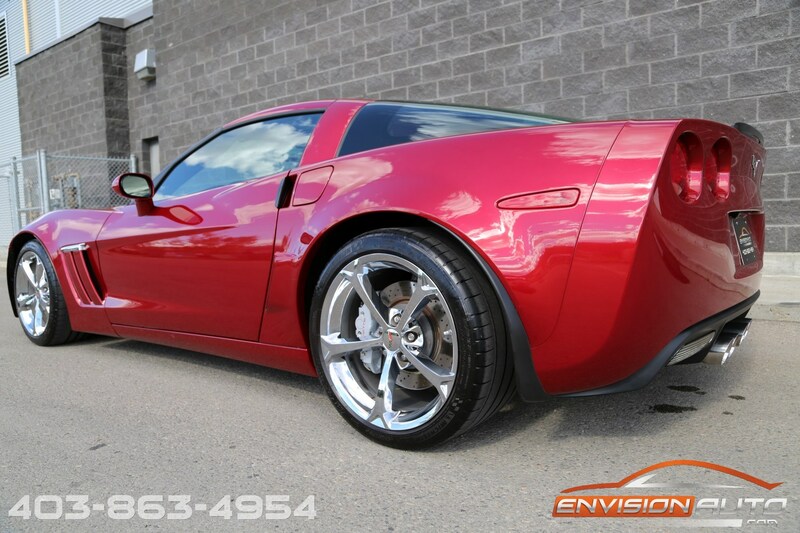 More Details : – 3LT OPTION PACKAGE – DUAL REMOVABLE TARGA ROOF PACKAGE – MAGNETIC RIDE CONTROL – HEADS UP DISPLAY – NAVIGATION – REVERSE CAMERA – COMPLETE 3M FILM WRAP – SPOTLESS CARPROOF HISTORY REPORT – STUNNING CRYSTAL RED METALLIC – ONLY 48,300 KILOMETERS!! 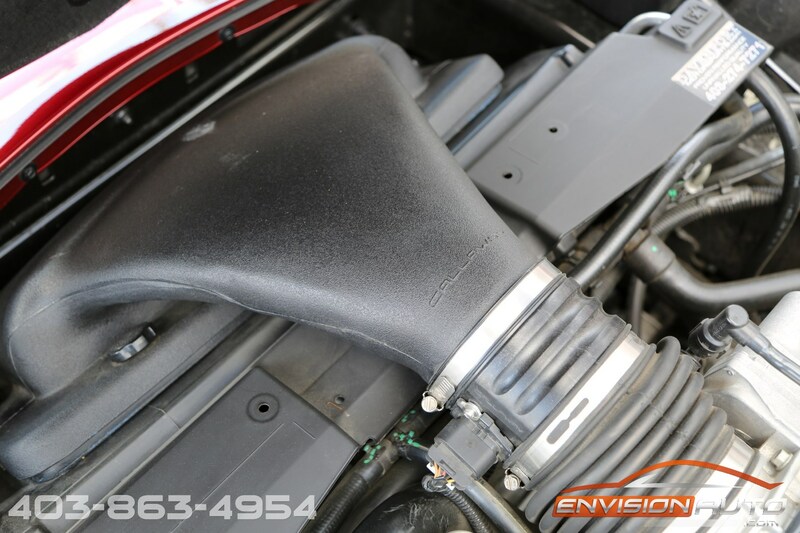 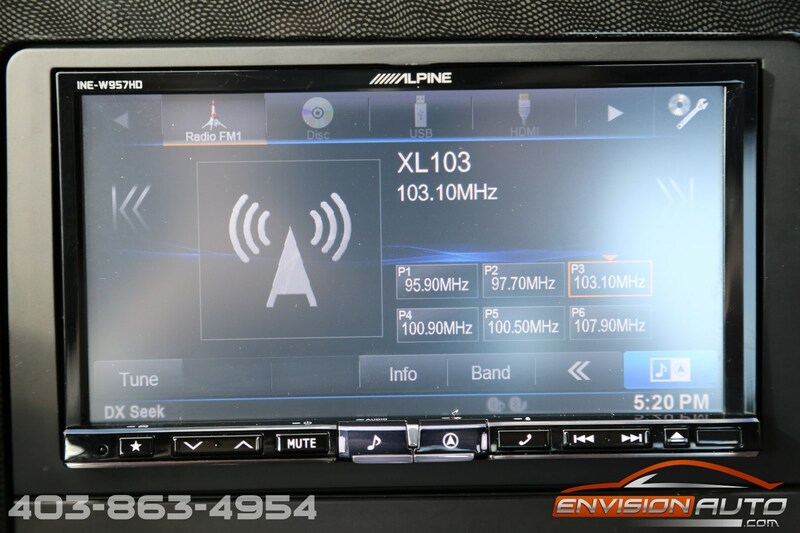 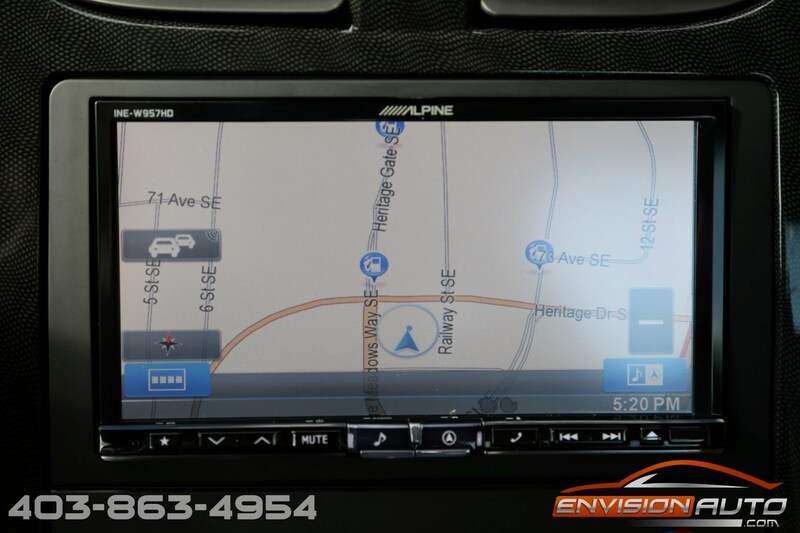 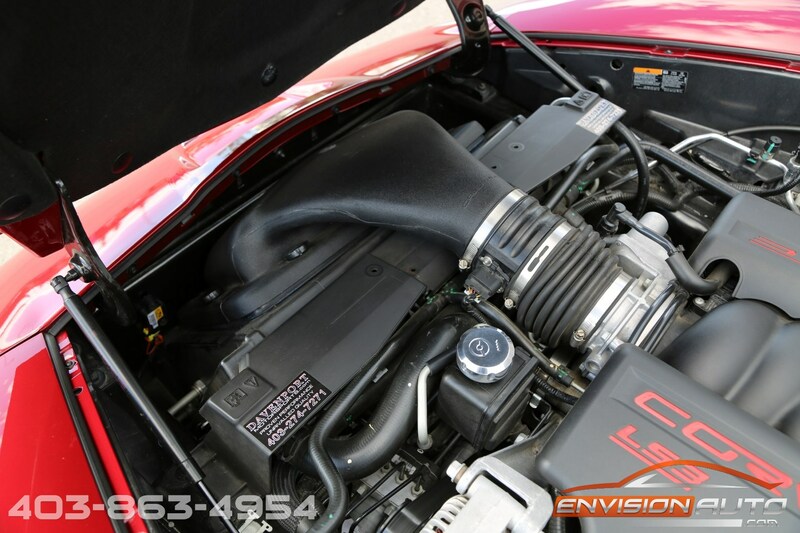 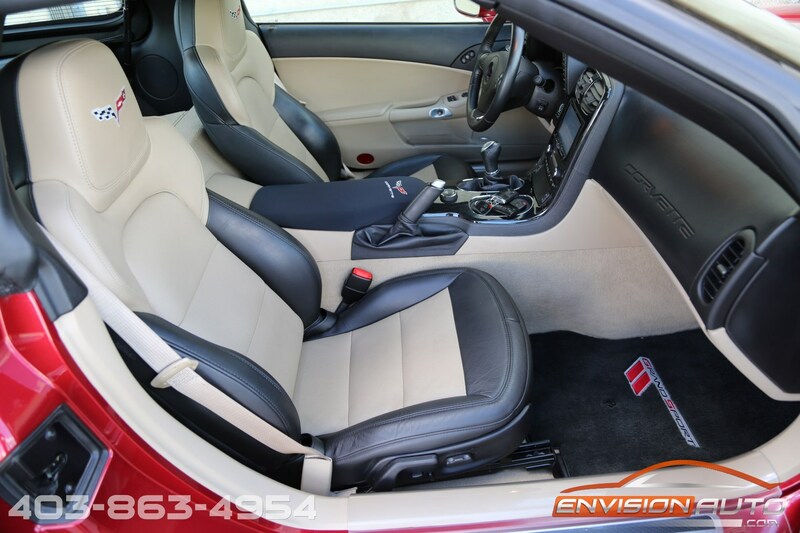 A true testament to the quality of care this car received from its previous owner, all photos shown are as the car was kept and without any professional detailing. 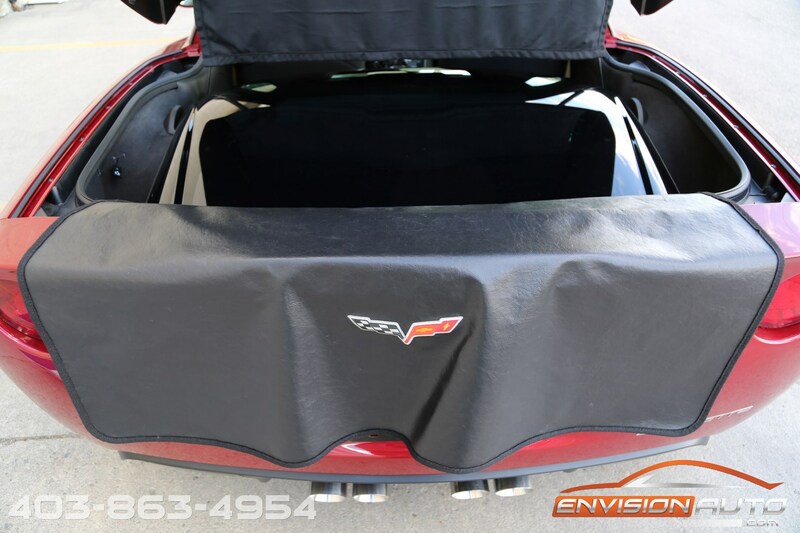 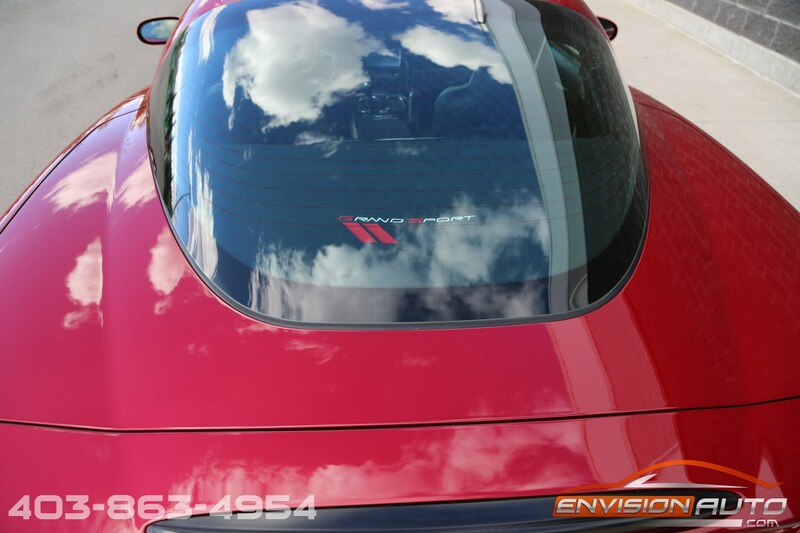 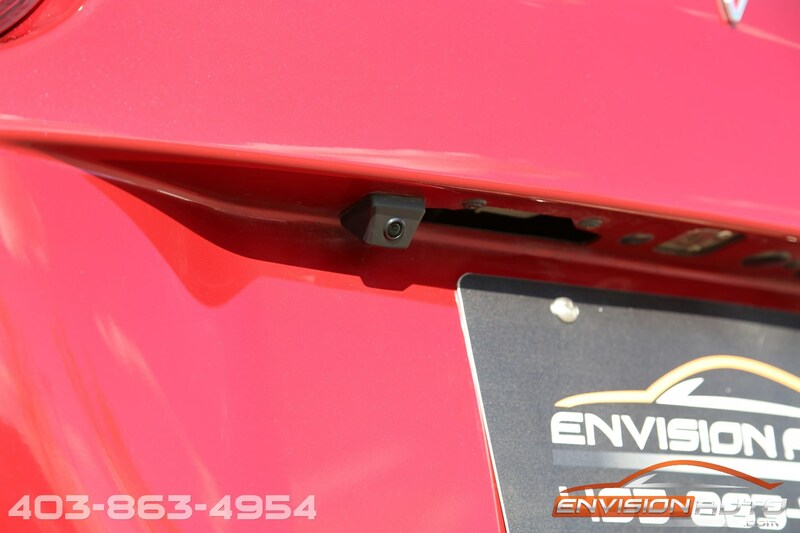 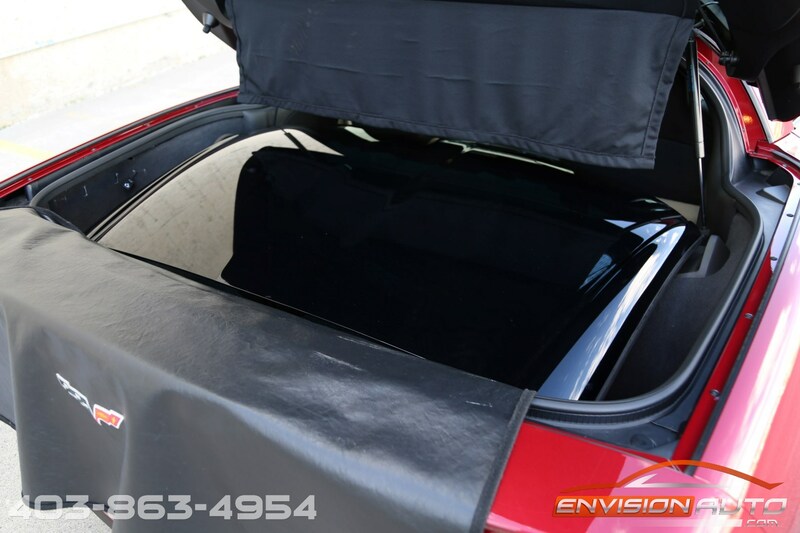 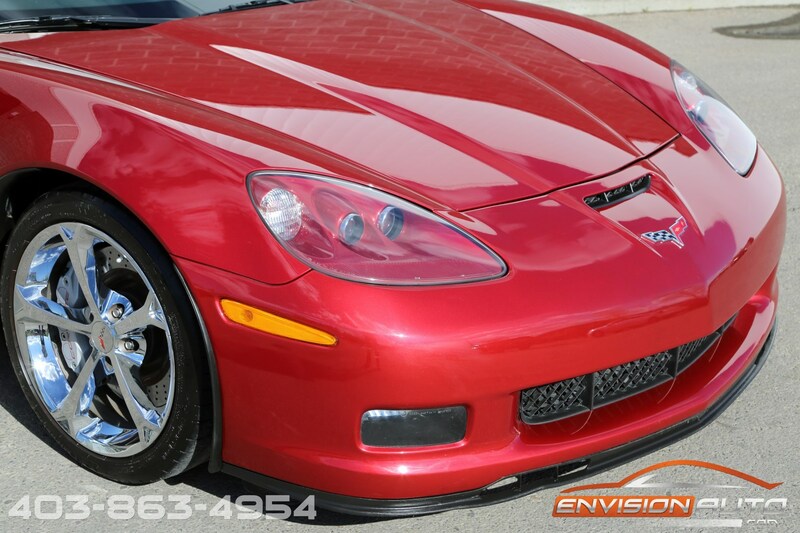 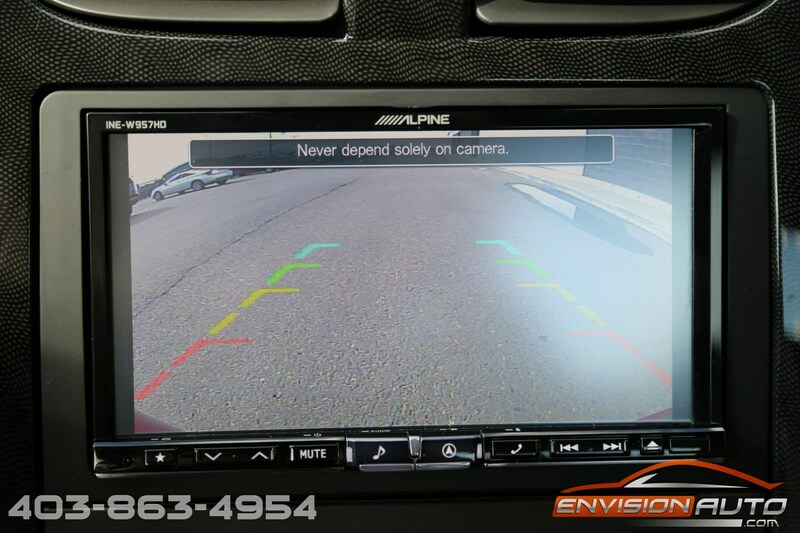 On the exterior the car has been treated to a complete $2,000 exterior 3M wrap including the entire hood, entire bumper, and entire fenders in addition to the rear quarters, rockers, rear hatch, door cups, wheel arches and more. 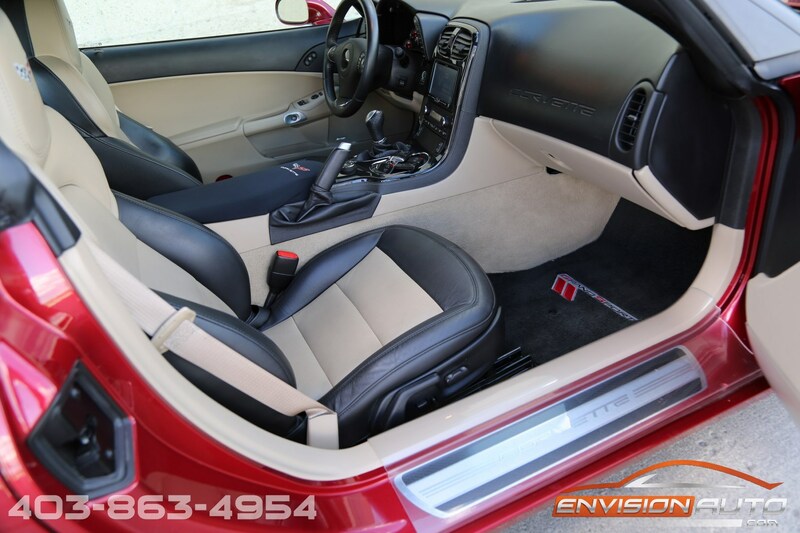 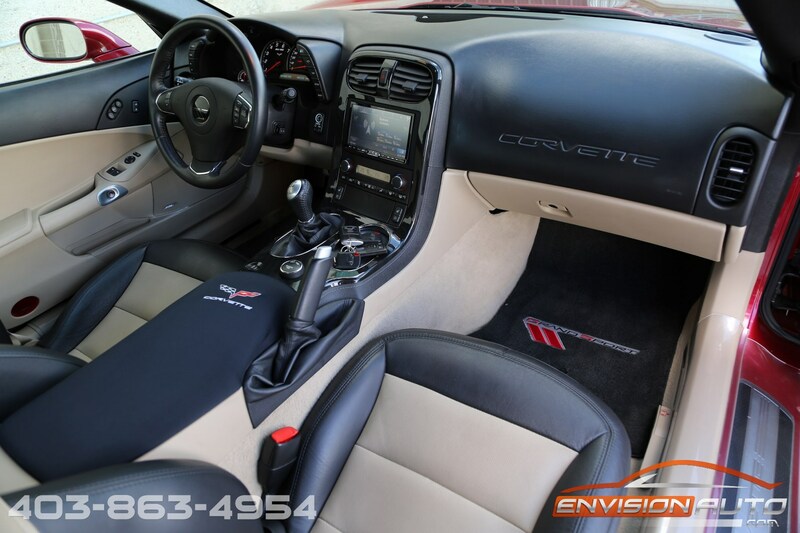 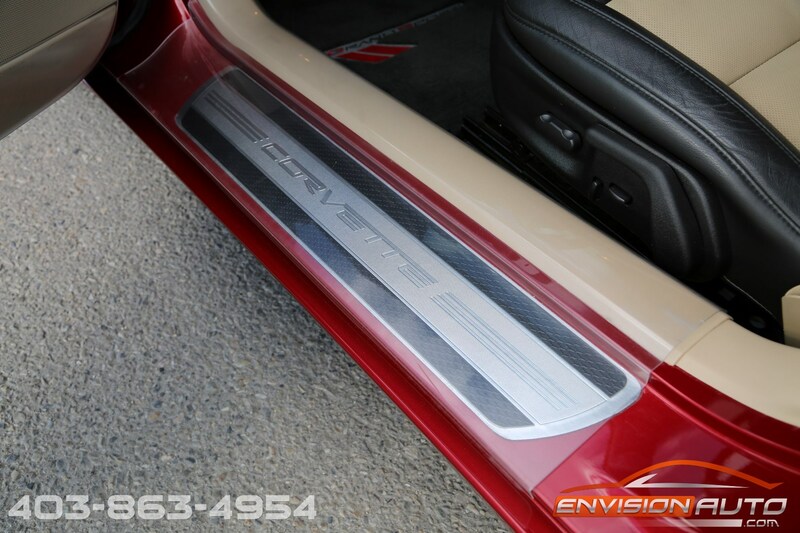 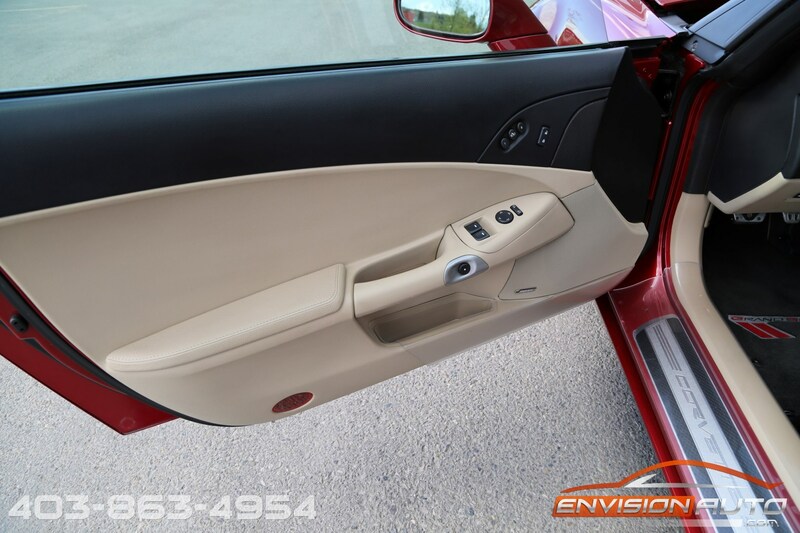 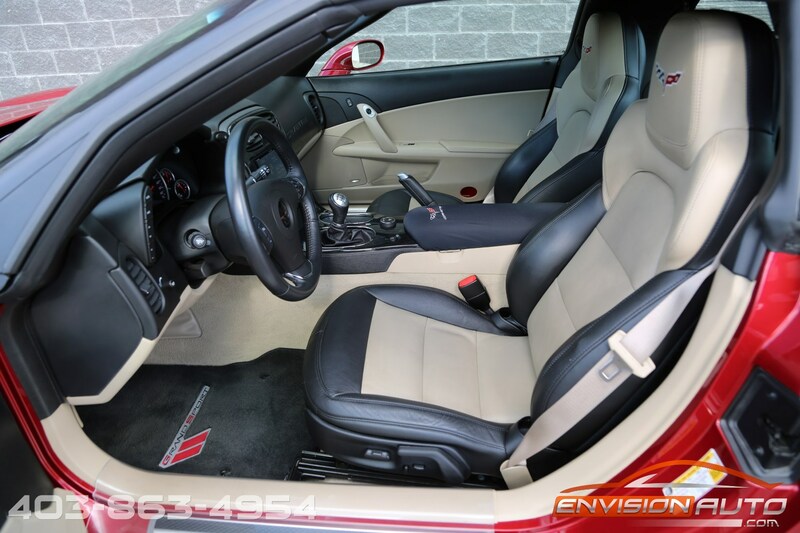 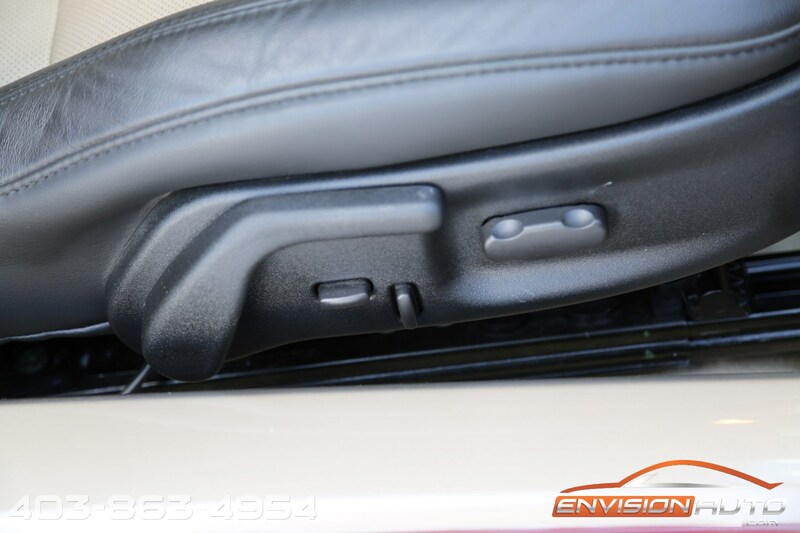 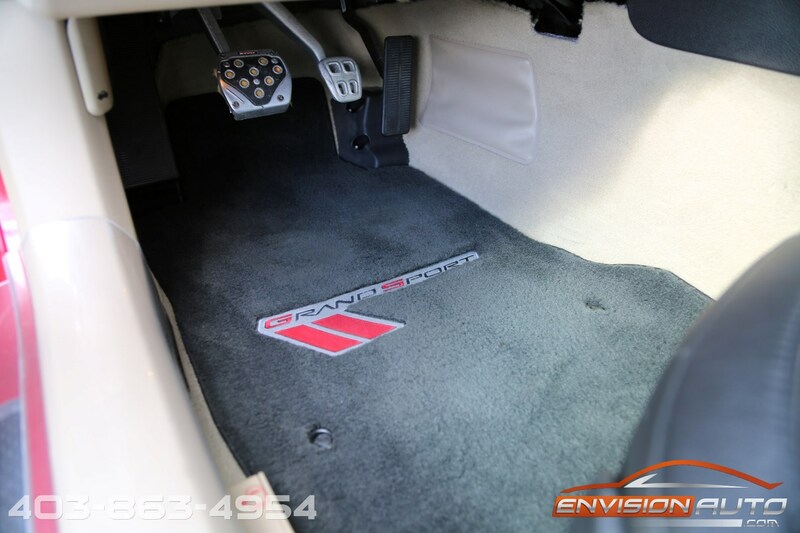 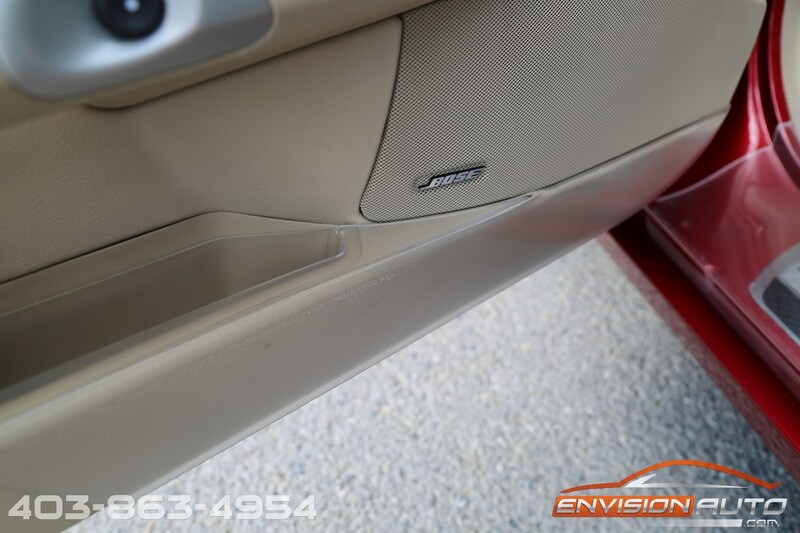 On the interior clear plastic door sill and door kick panel protectors in addition to complete plush floor mat upgrade package. 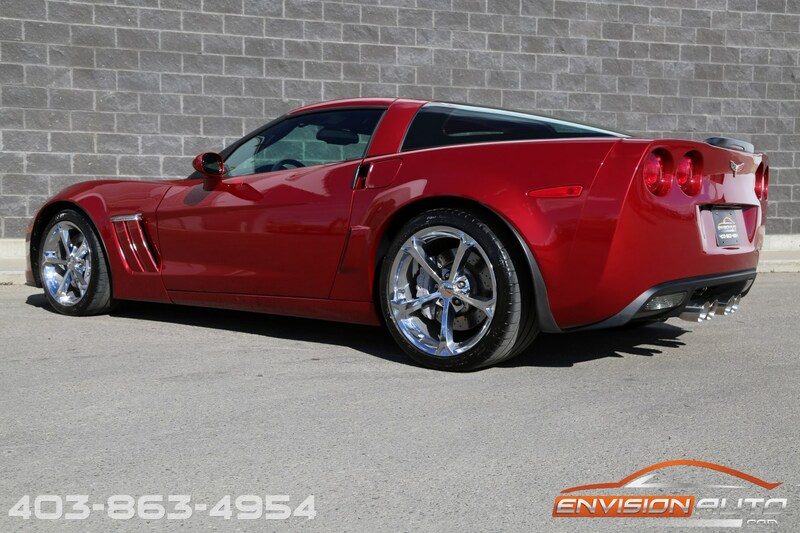 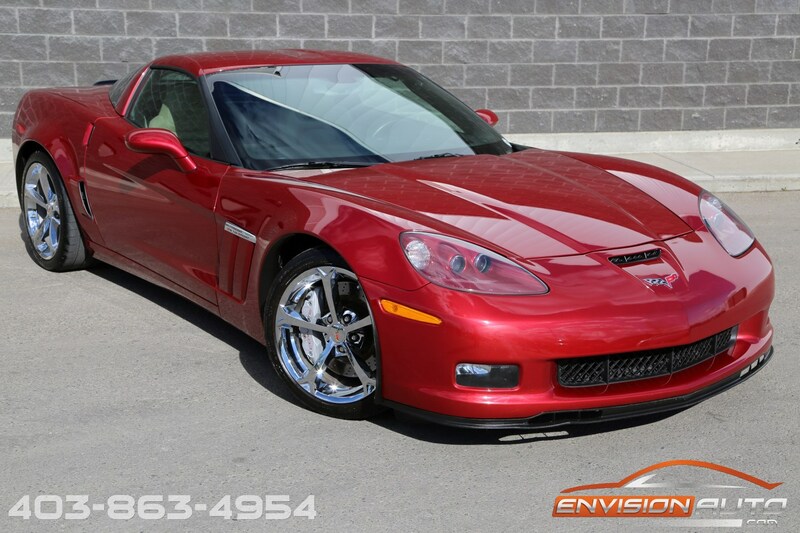 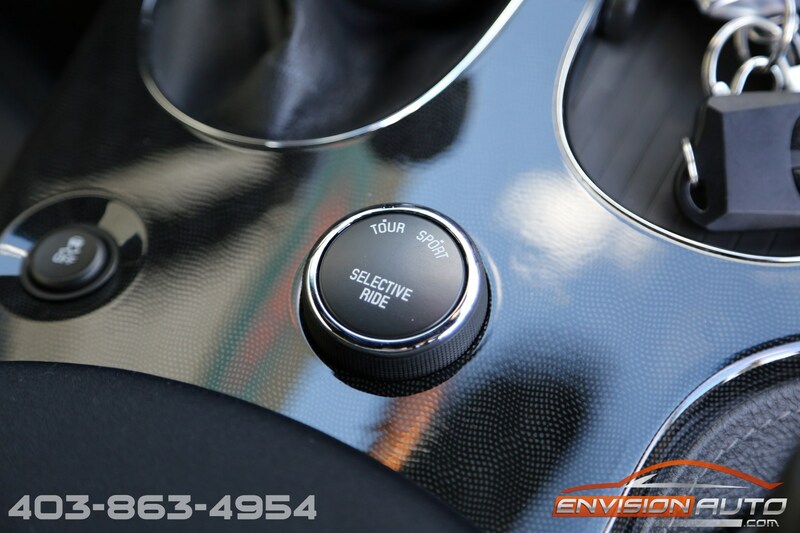 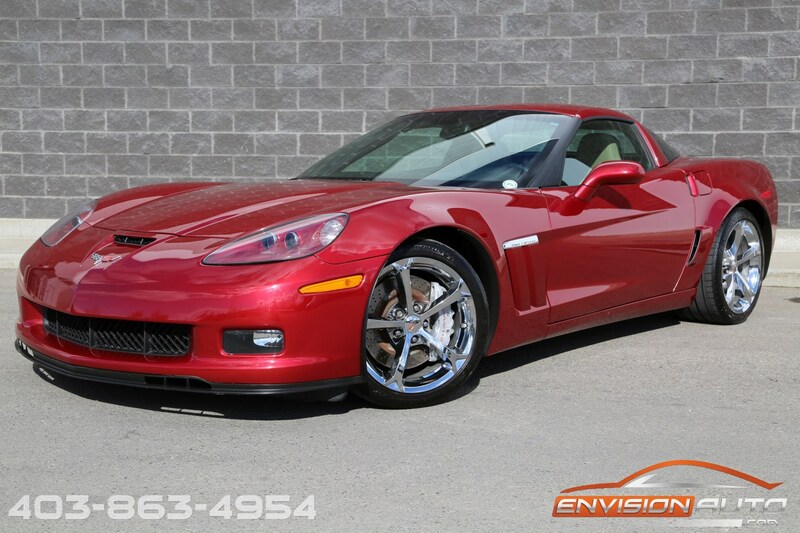 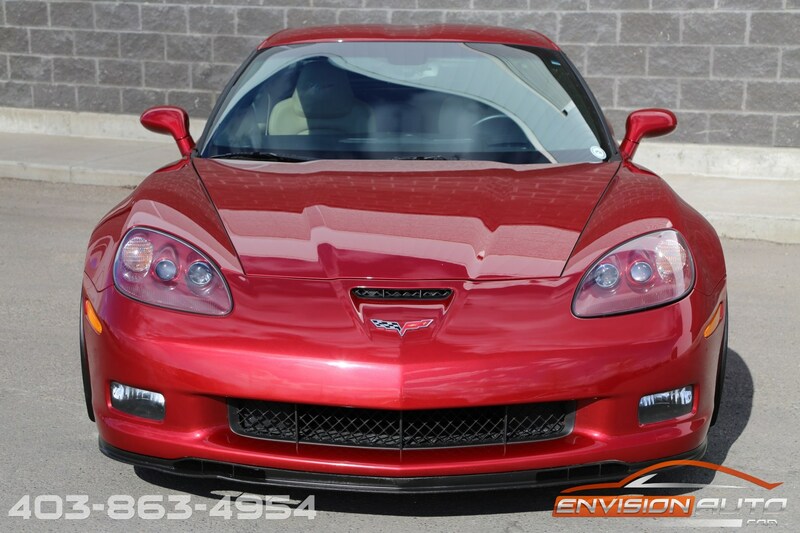 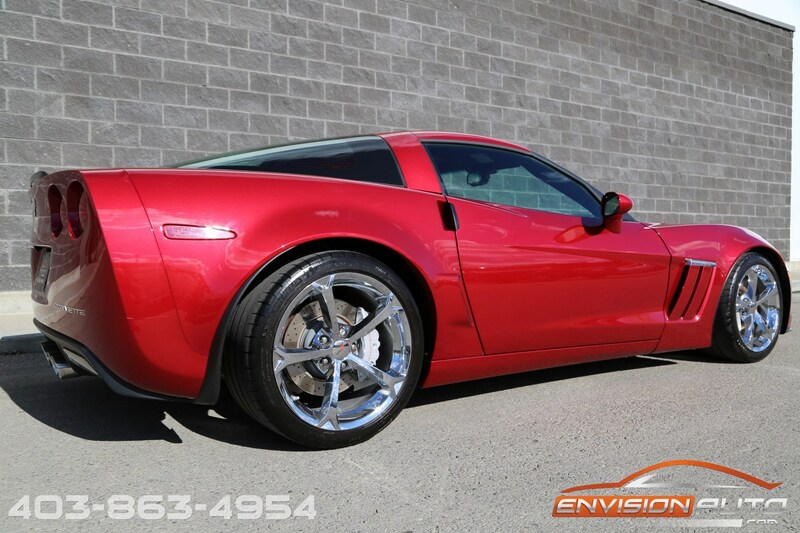 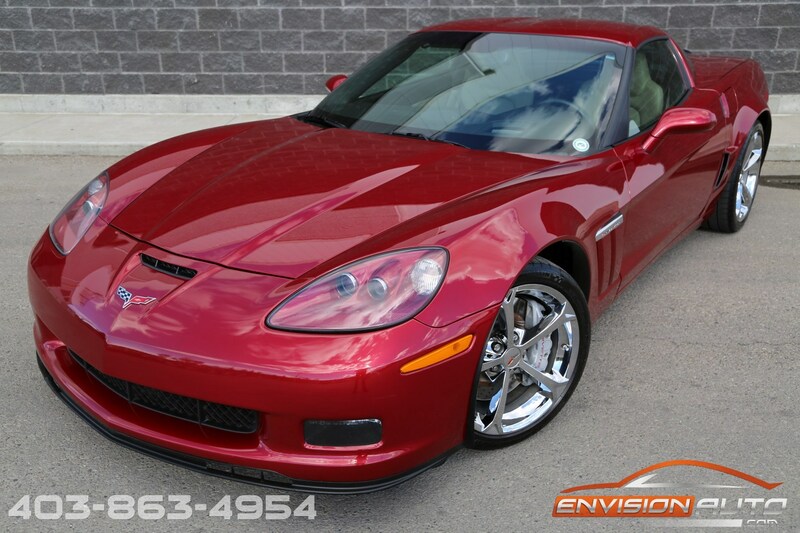 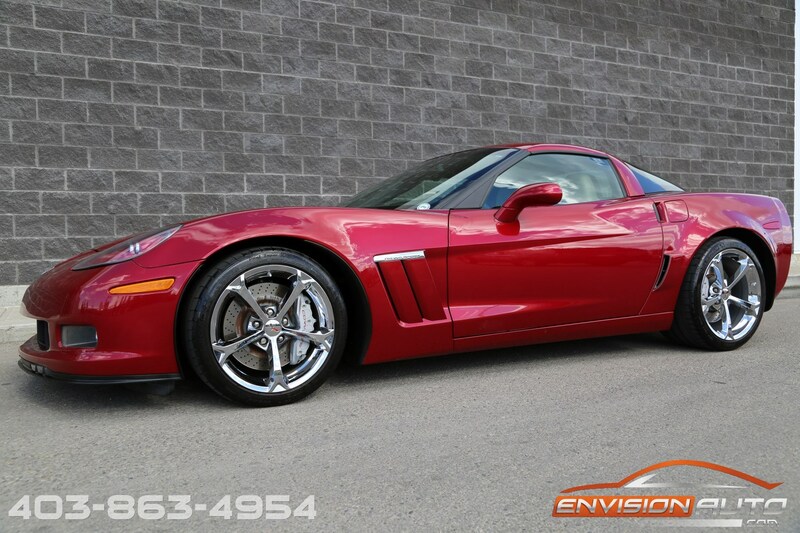 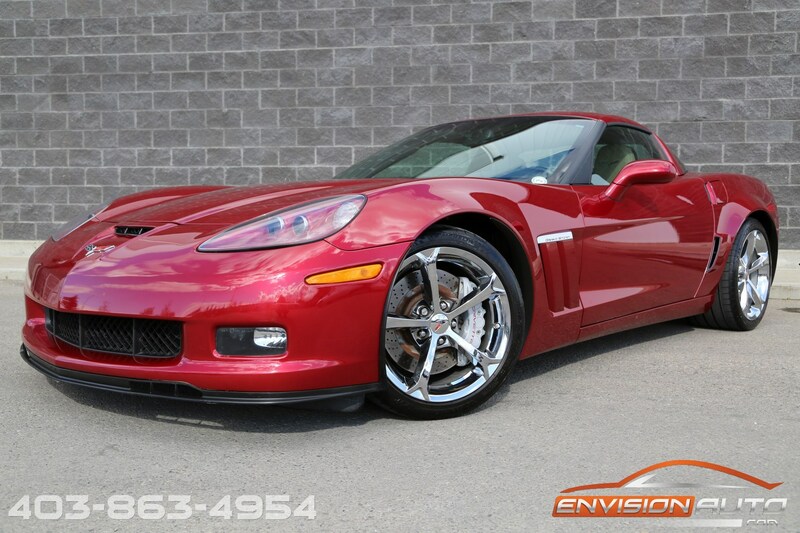 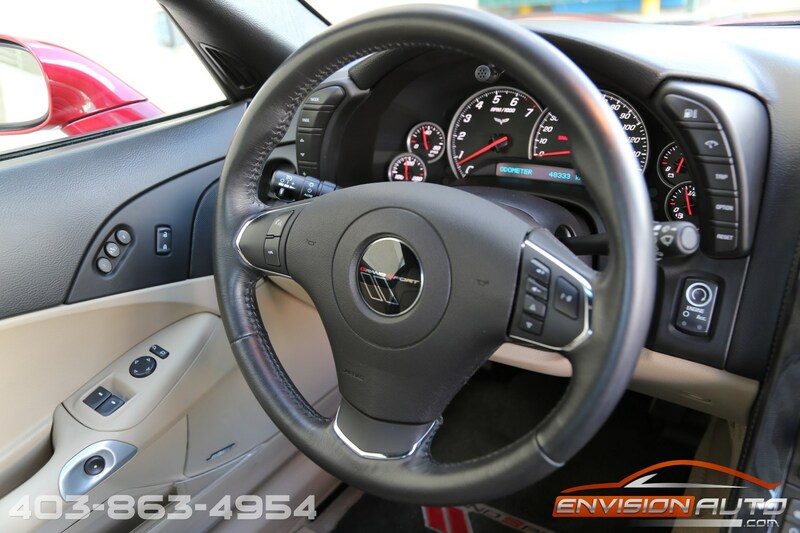 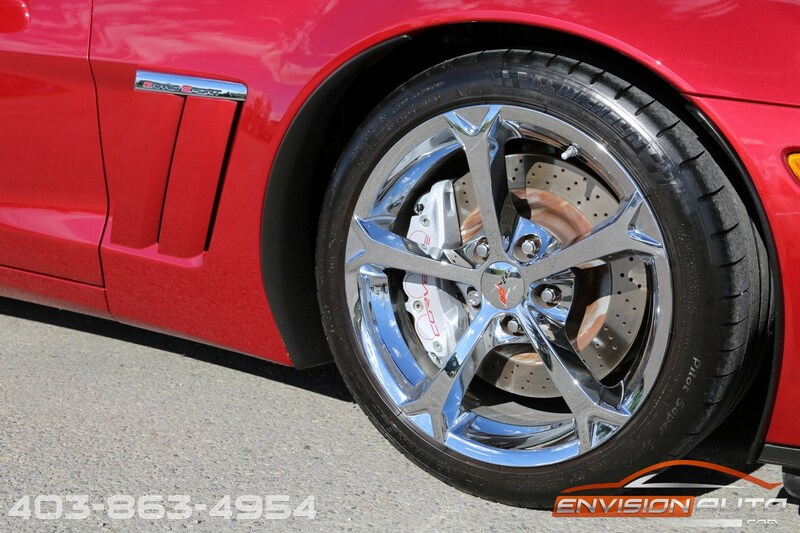 Loaded up with all the desirable options and with one of the hottest color combos in crystal red metallic over two tone cashmere and black leather interior. 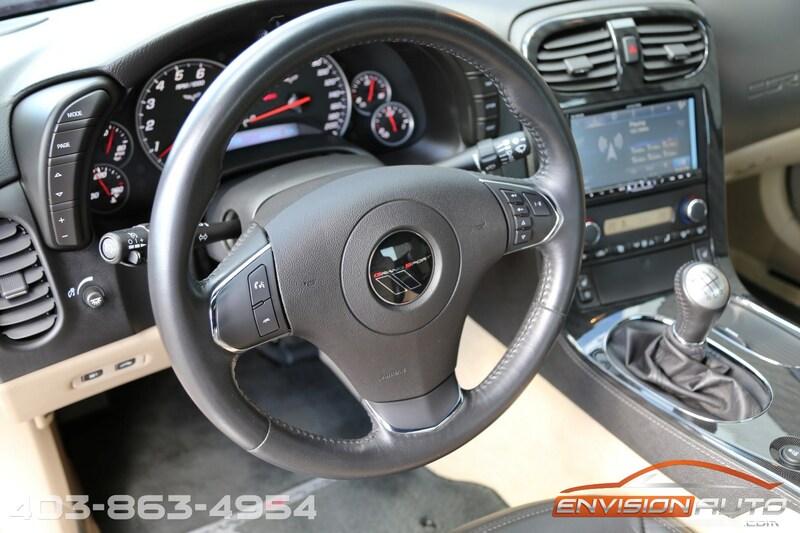 Purchased directly from the previous owner, this car is a verified non-smoker car! 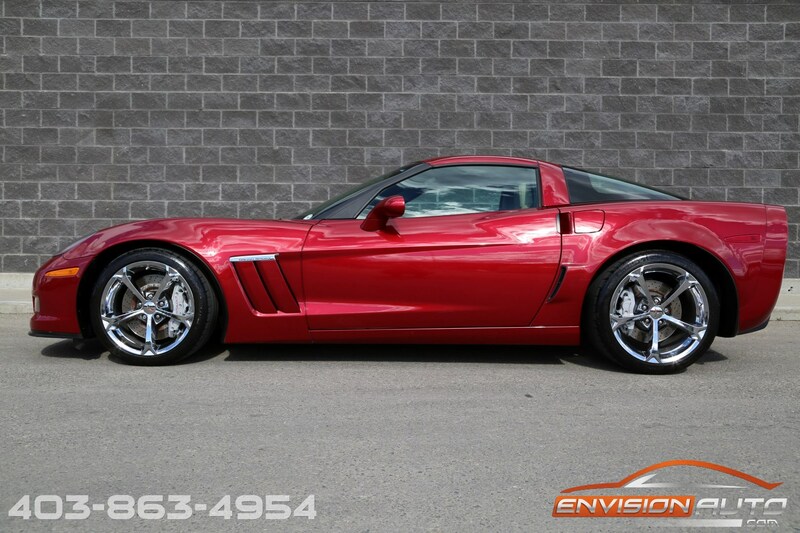 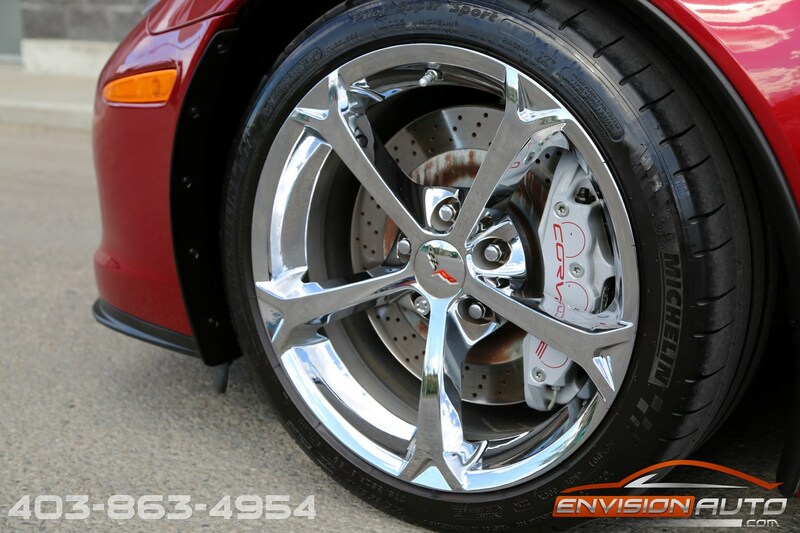 Garage kept, this car has led a pampered life and is ready for its next owner to enjoy this summer! 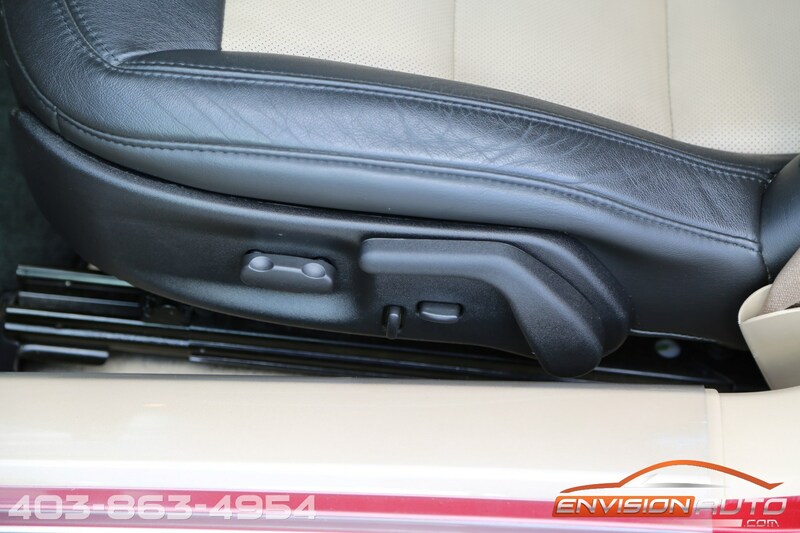 Fully equipped 3LT option package features factory options including the hard to find magnetic selective ride control which allows you to adjust the suspension stiffness on the fly between sport and touring modes, dual roof option package featuring painted to match removable targa and also the desirable see through glass roof, heated full leather seats, 6 way power adjustable driver and passenger seats with bolster and lumbar support, bose 7 speaker stereo, handsfree Bluetooth, heads up display, chrome grand sport wheel package, and more!